The Federal Government has finally filed charges against the immediate-past Secretary to the Government of the Federation (SGF), Babachir Lawal. The former SGF was slammed with 10 charges bordering on allegations of fraud in the filing which is coming almost 14 months after he was sacked by the government. 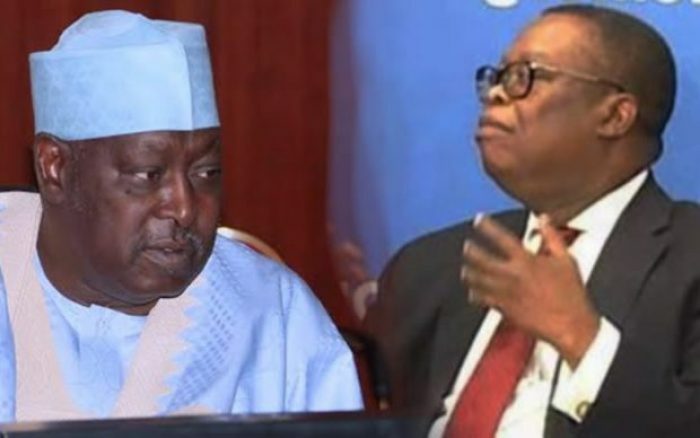 Oke and his wife will be arraigned before Justice Aneke of the Federal High Court in Lagos on Friday, February 1, 2019, while Babachir Lawal will be arraigned before Abuja High Court next week. President Muhammadu Buhari had in October 2017 sacked Lawal following a report of investigations by a panel headed by Vice President Yemi Osinbajo, into allegations of fraud leveled against him, but Nigerians had remained concerned that he had faced no prosecution while the Presidency is hounding members of the opposition for various corruption charges.. The Economic and Financial Crimes Commission (EFCC) in 10-count charge filed by Offem Uket on January 30 alleged that Lawal conspired with a director and staff in Rholavision Engineering Ltd, Hamidu David Lawal, and Suleiman Abubakar, to fraudulently acquire a property and thereby committed an offence contrary to Section 26(1)(c) of the Corrupt Practices and Other Related Offences Act, 2000 and punishable under Section 12 of the same Act. Lawal was also accused to have fraudulently acquired a private interest in the contract awarded to Josmon Technologies Ltd. The acting spokesperson of the EFCC, Orilade Tony, confirmed the development. Last week, Vice President Yemi Osinbajo announced that Mr Buhari had directed that charges be filed against Mr Lawal and Mr Oke. Mr Lawal has since his exit been a major campaigner for President Buhari’s re-election in his home Adamawa State. Analysts believe that the charging is coming as a result pressure from Nigerians who made singsong of Lawal case as an example of selective justice by Buhari administration.